Allie Johnson, Christian B. McGuire. Michael Mason, Bradley C. Achorn. Lynn Baden, Maria Rodriguez, reading the newszine. Joni Dashoff, Todd Dashoff, at the Locus Awards banquet. 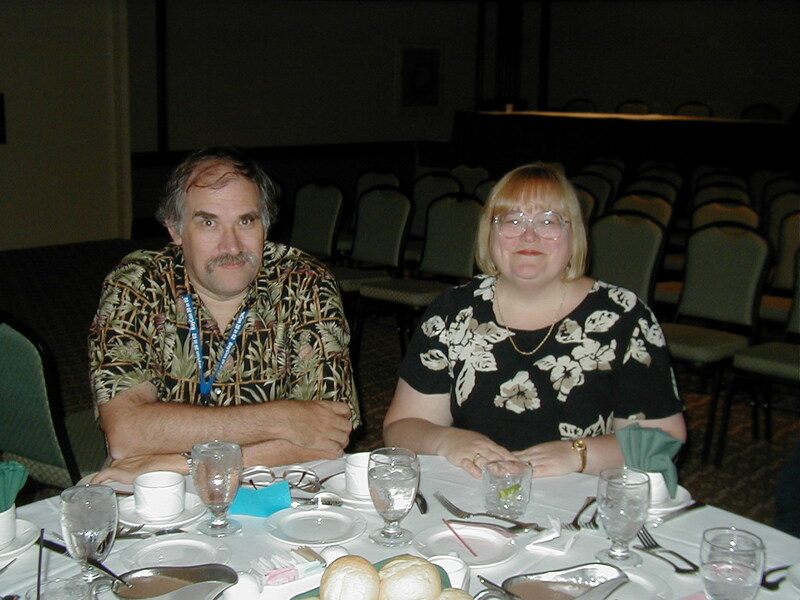 James Daugherty, Kathryn Daugherty, at the Locus Awards banquet.